A man of few words, Roman, played by Belgian actor Matthias Shoenaerts, portrays a powerful character in The Mustang. Initially reluctant to cooperate with the prison therapist, played by Connie Britton, he eventually attends group anger management sessions. Interestingly, when inmates in group were asked how long between when they thought about their crime to when they committed it, the common answers were just a matter of seconds or minutes. It nails home the hard truth that it can take so little time to change the trajectory of a life. Roman comes to the prison as a hardened man but is eventually able to show his emotions to his pregnant daughter Martha, played by Gideon Adlon. It turns out he didn’t kill her mother a decade earlier, but his crime left her brain damaged and unable to care for herself. My friends and I were not aware of the inspirational program that is the focus of the movie, which is a prison rehabilitation program in California, Nevada, Arizona and other states where the prisoners assist in taming wild horses. After the horses are tamed, they are then sold at auction to law enforcement, ranchers and border patrol with the proceeds going to the Bureau of Land Management. Henry, played by Jason Mitchell, is the congenial seasoned horse trainer who helps Roman learn the ropes and has a huge impact on everyone in the program. Things get off to a rocky start when Roman lets his aggression get the best of him and hits a horse during a frustrating session, thus getting himself kicked out of the program. When a tornado warning is issued for the prison, Roman is quickly reinstated so he can help get the horses to safety, which turns out to be in the prison kitchen. Near the culmination of the horse training at the auction, a helicopter flies overhead and spooks Roman’s horse who throws and badly injures him. When the craggy seasoned trainer Myles, played by Bruce Dern, tells Roman the program is going to be shut down and his horse euthanized, he indirectly conveys to him that he should break the horse out of prison, to be free again. 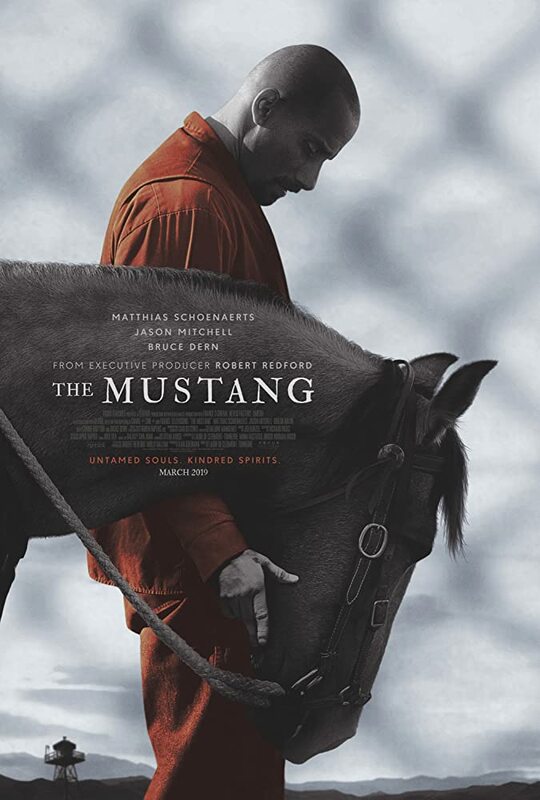 This movie is not fast-paced, but has a lot of heart and speaks to the impactful connection between animals and people, contrasting the freedom of the wild horses and the captivity of the inmates. Ahead of time we were worried about the amount of violence the movie might contain, but agreed it was manageable and didn’t show much animal violence; but it did show a strange ketamine drug smuggling method via soaking a t-shirt with the drug and then extracting it and snorting it later. Starting off as an actor, this is writer-director Laure de Clermont-Tonnerre’s debut film. It premiered at the Sundance Film Festival and Robert Redford is the Executive Producer. 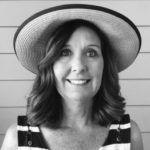 She got the idea for the movie from small animal therapy used in French prisons, and later discovered that thousands of wild horses roam free throughout the Western states, with several hundred of those captured each year by the government and trained through a special program using prison inmates. The cinematography showed the vast expanse of the Nevada desert with the nitty grittiness of the State Prison making for a semi prison/cowboy effect where the prisoners end up being tamed.